We have covered almost all the news events for Amazon’s latest tablet, Kindle Fire. Tradus.in, an Indian online store, announced the availability of Kindle fire at a price tag of Rs. 13,900 only. With this affordable price Kindle Fire became a potential thread to Apple’s iPad 2. Every person like Gadgets and want to buy as many as he can. These gadgets make our life easier, fast, secure and updated with every news from whole world. The best thing behind these Gadgets is that they can never run out of demand. Especially the ones which become very famous among us. Lovers of photography now hold your breath till now we are capturing the scenes only in two dimentional but where is innovation there is technology .Enjoy photography with the 3D imaging system that will change the way you take photos. u can make real of your dreams by capturing 3D images. Many times when we talk on mobile there are distortion in conversation (some unwanted noise) speciall in urban areas even the mobile network operator are trying there best to overcome these problems but still there are distortion due to fading. This Intel processor is very much expected to launch in the second half of 2009. It is an aim ofIntel to hit the market of low power desktop PC’s and nettops. This will come in two version i.e. 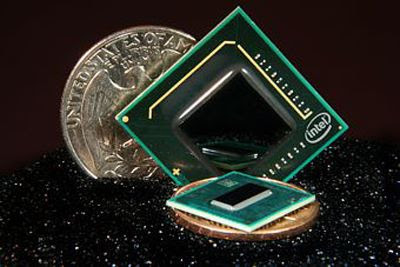 a single core Intel Atom 2 and a powerful dual-core chip. These chips will be manufactured using a 45 nanometer process although Intel intend to move the Atom 2 chip to an even 32nm process. The core frequency will increase from a basic 1.45 GHz to 1.8 GHz,and the silicon area will reduce from 2174mm to 773mm. The current iteration of the Atom chip is found in almost all low-cost netbooks and nettop PCs.Atom 2 processor will also feature hyperthreading. Eco friendly gadgets are in demand and also healthy for our environment. Western Digital step forward to make an Eco-friendly drive by launching 1TB hard drive that is also very power efficient. As you know power consumption of hard drive is directly proportional to its capacity,but contrary to that , Caviar Green 1TB drive consumes less power when its power consumption is compared to other drives. Why uplink frequency in mobile phones is less than downlink frequency? SanDisks’s New 4-Bits-Per-Cell Technology Enables Unprecedented Capacities of Flash Devices. SanDisk Corp. said on Tuesday that that it would begin mass-production of the world’s first high performance 4-bits-per-cell (X4) flash memory. The new memory technology allows the company to build single-die 64Gb/8GB flash memory chips, which will power new flash products with significantly boosted capacities. 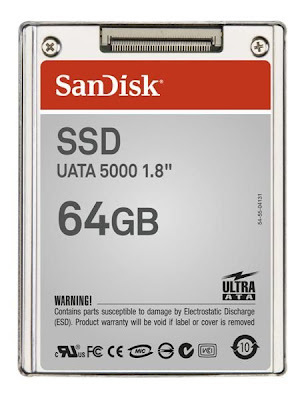 SanDisk’s 64Gb/8GB flash devices are manufactured using 43nm process technology at fabs built by SanDisk and Toshiba Corp. in Japan. The 4-bits-per-cell (X4) flash memory technology was acquired by the company when it took over M-Systems company back in 2006. The X4 flash memory technology allows to double, or even to quadruple capacities of existing flash-based devices without substantial increase in production costs, power consumption or sizes. “The development of X4 memory and controller technologies is a major milestone for flash memory storage that will provide significant long term benefits to SanDisk.